LONDON – July 2,2013: The all-new Volvo V40 has secured another two award wins with news that motoring website carsite.co.uk has named it their Best Medium Family Car and overall 2013 Car of the Year. A panel of judges and users of the site voted for seven finalists and declared the V40 the best car in its class and their overall winner. Interior quality, equipment levels and technology – including the world’s first pedestrian airbag – were all singled out for particular praise, with judges also noting the car’s driving dynamics and overall premium feel. 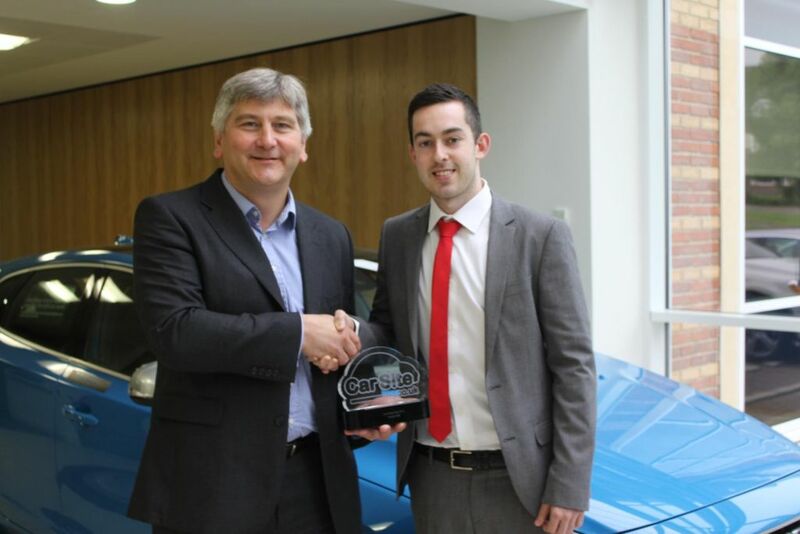 James Barrell, Editor-in-Chief of Carsite.co.uk, travelled to Maidenhead to present the awards in person to Volvo Car UK Managing Director Nick Connor. James said: "In the end we decided that the award for Car of the Year 2013 had to go to the Volvo V40. We were impressed by its wonderfully comfortable interior, quality feel and excellent range of engines, but we were bowled over by its range of innovative safety features which combine to make the V40 the safest car ever tested by Euro NCAP. "And on top of this, the V40 is a striking and refreshingly different choice in a crowded market sector." Priced from £18,995, the Volvo V40 is available with a choice of engines and a wide range of trim levels to suit all requirements. In addition, customers can also opt for the sports-inspired V40 R-Design models, or – for a more rugged look – the V40 Cross Country. Petrol engines range from the new entry level 120hp T2 up to the powerful 250hp T5 Auto, while diesel engines include the 88g/km CO2 D2 diesel unit, which is free from annual road tax and can return up to 83.1mpg fuel economy (official combined cycle).Standard equipment includes DAB radio, pedestrian airbag, City Safety, Bluetooth, climate control, electric windows and 16” alloys.